Rob Lowe keeps sinking in DirecTV's campaign. 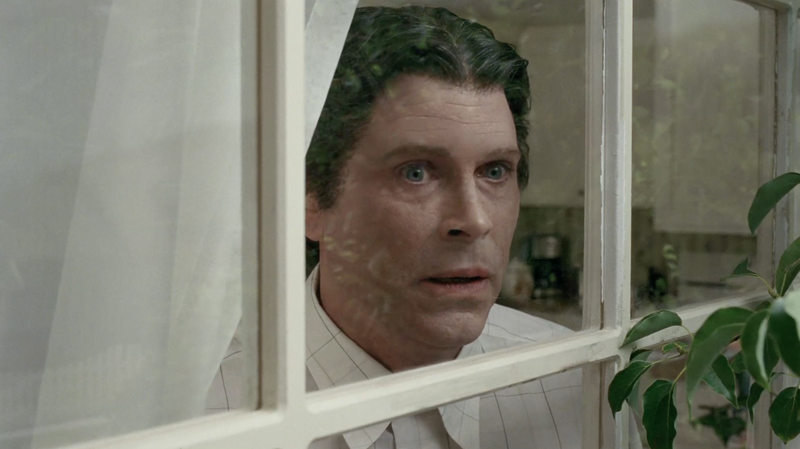 Having already been introduced to Creepy Rob Lowe and Less Attractive Rob Lowe, now we get to meet Painfully Awkward Rob Lowe. Like his fellow lesser Rob Lowes, Painfully Awkward Rob Lowe has cable instead of DirecTV—which obviously explains the fanny pack, hiked-up pleated khakis, lisp, agoraphobia and weirdly winged hair. "Don't be like this me," suave Hollywood actor Rob Lowe says at the end, leaving his ungainly doppelgänger cringing at a urinal. With at least two more spots from Grey New York are on the way, it begs the question: How low can Lowe go?